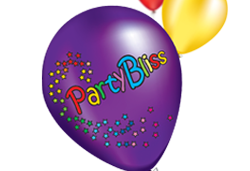 Party Bliss was set up in 2007 by Louise Rees and Nicola McCleave and has quickly established itself as one of the leaders in the field of children’s party planning, hosting and entertaining throughout North Wales, Shropshire, Cheshire, Liverpool and Manchester. As well as being like-minded business women and mothers, Louise and Nicola shared an enthusiasm for music, dance and drama; a passion which first sparked the inspiration for Party Bliss. Nicola had her second child in 2010 and left Party Bliss as a Partner to dedicate more time to her growing family. Nicola continues to participate in specialist events. Each member of the Party Bliss team has experience of working with children as well as their own particular area of expertise (face-painting, story-telling, dancing, hair-dressing, make-up artist). 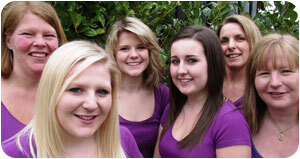 As Party Bliss continues to grow it is always looking for enthusiastic candidates to join in its success. If you would like to join the Party Bliss team then contact us. "We are really proud of what we have achieved so far, but know that there are lots of dreams we have yet to fulfil. Sounds like hard work, but look how much we get to party!"